This is a Herry family favorite! The sauce is sweet and sour and the meatloaf is tender. This recipe started as one out of "Talk about Good", but I've added so many things it no longer resembles that original recipe. It kinda looks like a big meatball, Huh? Meatloaf mix is ground beef, pork, and veal. I have made this recipe with just ground chuck and it is good. It is great with the meatloaf mix. The sauce starts thin and runny. It thickens up as it cooks with the meatloaf. 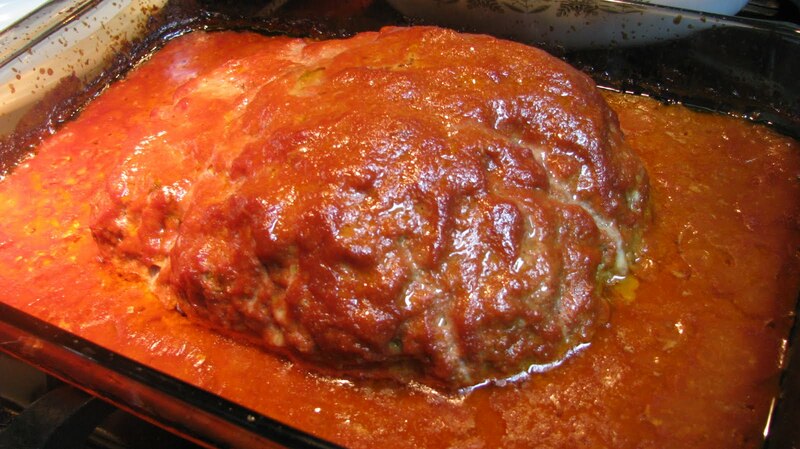 Mashed potatoes are a great side dish with this meatloaf.